The people alleged they did not know that Ravishankar was to speak there and were invited to the programme on different pretexts. Srinagar: Groups of people raised "azadi" slogans at an event of Art of Living founder Sri Sri Ravishankar here today and left midway alleging that they were tricked into participating in the programme. As Ravishankar was speaking at Paigham-e-Mohabbat (message of love) function at the Sher-i-Kashmir International Conference Centre (SKICC) lawns, people started to leave the venue, forcing the spiritual leader to cut short his speech. We reached here early in the morning. We were told that we will be given jobs and some management company is giving training here, a group of youths from Pantha Chowk area of the city said. 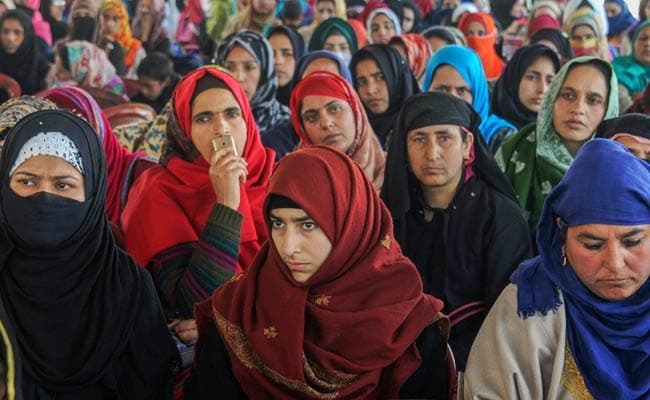 Another group from central Kashmir's Budgam district said they were told some religious scholar was to shed light on Islam. We would not have participated in this event had we known who was to speak. We were tricked by the organisers, they claimed. A group of students alleged that they were promised cricket kits by the organisers. We were promised cricket kits and money. But we have not been given anything, not even a glass of water, Javed Ahmad, a student from Baramulla district, said. The people raised pro-freedom slogans at the event, but dispersed peacefully later. Asked about the people's allegations, Ravishankar said it was he who was invited to Kashmir and he had not invited those people but would be available to hear whatever they want to say. Earlier, the Art of Living founder in his speech said he wanted to see Kashmir as the Switzerland of Asia. I want to see an atmosphere of beauty, peace and love here, for which we all have to work together If we think about past only, then we will remain sad. We should look forward. We have the courage and power to be resilient and think about our future, he said. Later, talking to reporters at another location, Ravishankar said he had come to Kashmir to hear the people. "I will be meeting several delegations, including victims of violence. I will hear them over the next two days and I want to create a wave of happiness and an atmosphere of love in Kashmir," he said.